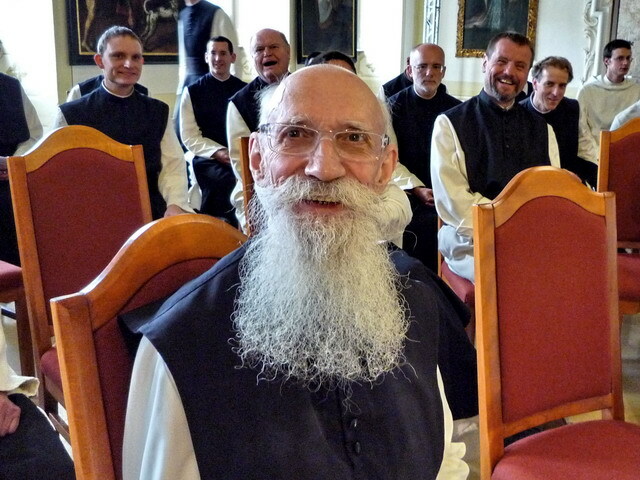 Surely Advent of all seasons is the time when one ought especially to remember St Benedict’s warning against “speech provoking to laughter,” (Regula Benedicti, VI) and yet seldom have I heard such uproarious laughter in the monastery as at chapter the other day. We were discussing the fact that during the recitation of the rosary some people omit the “Amen” after the Our Fathers. Now, in German the last petition of the Our Father runs “erlöse uns von dem Bösen. Amen”. (deliver us from evil. Amen.) One of my confreres (the venerable old man pictured above) recounted that as a child he always heard it (an therefore prayed it) as, “erlöse uns von den bösen Damen”. (Deliver us from the evil ladies). But I am still not convinced. 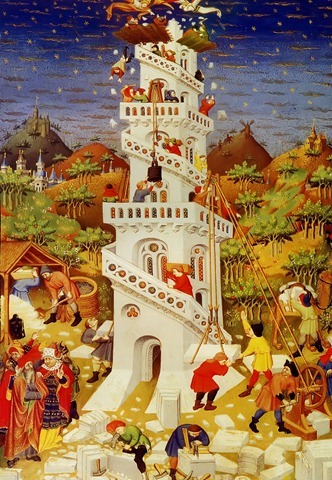 It seems like the whole point of the parable is “don’t even try,” don’t build the tower. And the next parable seems to reinforce this, “don’t fight the war.” Therefore I propose a different interpretation of the tower. The tower is the attempt to retain something as our own. Towers were, in fact, often used as look-out points to watch over one’s possessions. It seems to me that our Lord is saying, “don’t even try; you don’t have the resources to keep something for yourself.” Whenever we try to hold on to something as our own, and to find our consolation in that rather than in God, then God becomes suddenly our enemy, threatening our stuff; we seem like a king with ten thousand facing twenty thousand. So our Lord says “don’t even try; give up all your possessions.” “Every one of you that doth not renounce all that he possesseth, cannot be my disciple.” (I would be interested to see what Berenike thinks of this attempt at an answer to her question). Everything which we give up we recieve again a hundred fold; not as a slave (ordered to us) but as a brother (ordered together with us to God). Ronald Knox takes a rather curious literal interpretation of the Song of Songs, but one that solves a number of difficulties. Joe Zepeda’s brilliant TAC thesis argues for it rather persuasively. The interpretation is roughly this: the bride has been taken to Solomon’s court, but she is still faithful to her beloved from the country. 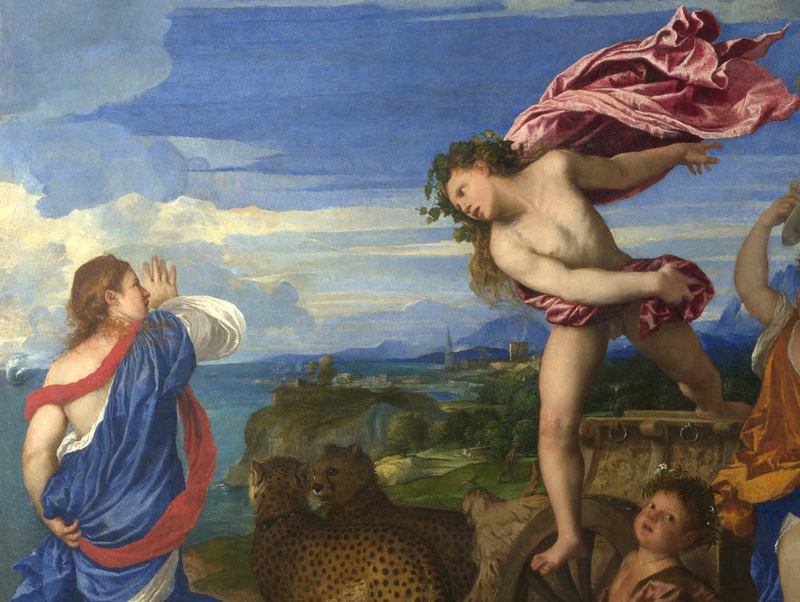 Her beloved follows her to the city, and (in the above text) he is standing outside the wall of Solomon’s palace calling her. In his sermon “The Window in the Wall” Knox gives a figurative interpretation of the passage: Solomon’s court is the world of sensible, the beloved is of course our Lord, and the ‘window in the wall’ is the Blessed Sacrament. It’s the irony of fallen existence that the sensible world, which should be a mirror of God’s glory, ends up being an ersatz for it. Just as Solomon (the ‘son of David’) is supposed to be the representative of God and the type of His Son, but ends up being His rival. In the Blessed Sacrament the Beloved comes to us without any sensible glory, calling us to leave the ‘gilded cage’ of our enslavement to creatures, and come out into the fresh air of the Divine Life. References: R. Knox, The Window in the Wall and Other Sermons on the Holy Eucharist (London: Burns and Oates, 1956) pp. 1-6. Joseph Raphael Zepeda, Fruits New and Old in the Song of Solomon; God’s Covenants symbolized (Senior Thesis; Santa Paula: Thomas Aquinas College, 2004).